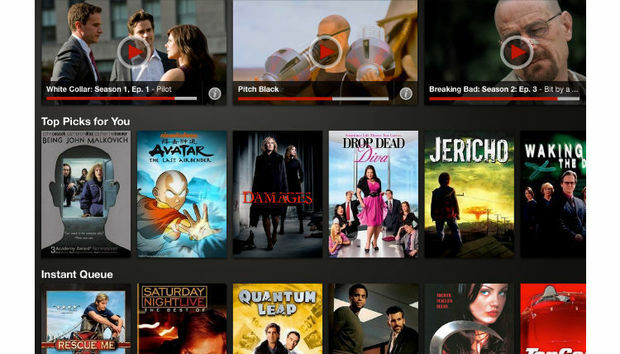 Netflix has stopped insisting that it will never let subscribers download videos for offline playback. In December 2014, Netflix spokesman Cliff Edwards gave a much different answer to the question of offline playback, telling TechRadar that it’s “never going to happen.” Edwards explained that downloads were a “short term fix for a bigger problem” of making the video service more accessible over Wi-Fi. Later, after rival Amazon started supporting offline video playback on iOS and Android, Netflix offered a different explanation: Making users deal with downloads was just too complicated. “It’s not going to be instant, you have to have the right storage on your device, you have to manage it, and I’m just not sure people are actually that compelled to do that, and that it’s worth providing that level of complexity,” Netflix Chief Product Officer Neil Hunt told Gizmodo last December. Netflix isn’t entirely wrong. In-flight Wi-Fi is slowly becoming fast enough to stream videos from 35,000 feet, some hotels allow Netflix streaming on guestroom TVs at no extra charge, and T-Mobile’s Binge On program lets subscribers stream unlimited Netflix videos—albeit at 480p resolution—without eating into data caps. Still, these are exceptions to the rule that binging on Netflix outside the home can be difficult or cost-prohibitive, and this is especially true in some overseas markets where the company is hoping to fuel its growth. In January, Netflix expanded its footprint to more than 190 countries, with India, Russia, Indonesia, Vietnam, and Poland among the new additions. Why this matters: While Hastings’ comments don’t necessarily mean that offline playback is imminent for Netflix, the change in tone is noteworthy as the company looks to expand its brand of binge watching to more countries. And with Amazon now offering monthly Prime and streaming-only subscriptions—complete with download support—Netflix now has plenty of motivation to figure out its own solution.